I will be honest. When Destiny 2 was first announced, I shrugged and said “oh okay, I guess the first game is getting a sequel”. Similarly, when Bungie revealed that the game was also coming to PC, I just shrugged it off and went about my business. You see, Destiny never had that allure for me. At the time, for one, I did not have a console to play it on; and two, well, I just never got around to it once I did eventually get a console. In case it was not obvious, I am a complete newbie to the Destiny franchise and its lore. As such, going forward, please note that this was the first title in the series that I have played for more than an hour. The fact that I had nothing to do with the first game made me largely indifferent to the second. That is… until I started writing about Destiny 2 and covering it for Vamers. 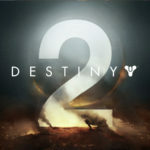 The first time I really took notice of the game, and something that made me go “wow”, was when I saw the trailer for the outstanding Destiny 2 soundtrack. Yes, Bungie was so proud of the game’s score, that they released a fantastic trailer for it. This made me wish that other games with incredible soundtracks would do the same. Needless to say, I adored it. Then, Vamers covered the ‘puppies‘ and ‘dancing‘ trailers for the game, and my interest was officially piqued. I began reading up on the previous game and, before I knew it, Destiny 2 landed on my desk. Still a bit reserved, I entered the game, and boy… was I in for a surprise. 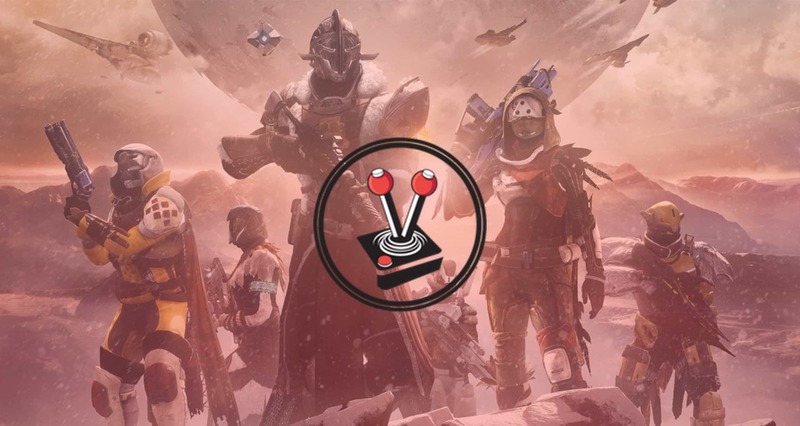 Destiny 2, like the original game before it, is first and foremost a first-person shooter (FPS). It is also a massively multiplayer online (MMO) game. 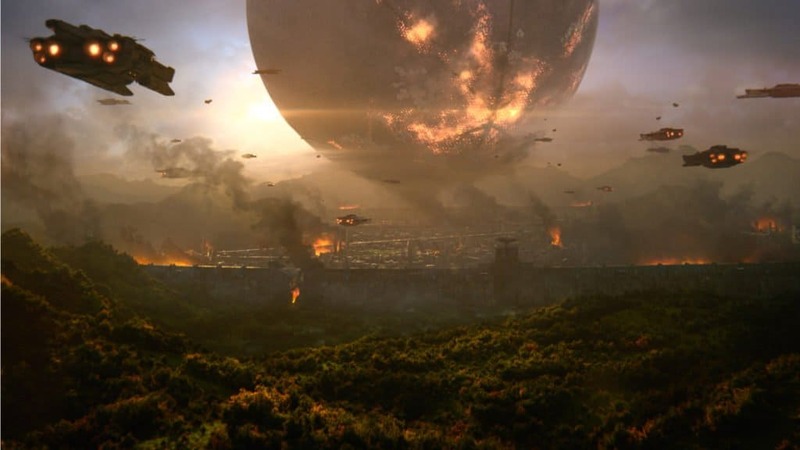 Unlike the traditional MMO fare such as Guild Wars 2 or World of Warcraft, however, Destiny 2 does not feature one big, persistent open world. Instead, you and your fireteam (more on that below) load into a world that is largely unpopulated. If there are other groups around, all groups would usually transition into the same instanced area. This is a nice way to make the world feel populated, especially when there are events to complete. When an entire group wanders too far away from another group, however, they usually start to disappear. It is as if they never existed. This is a nice feature that does not entirely make Destiny 2 an MMO, but also a one that allows the game to keep its MMO status. It is weird, and I really like it. I played Destiny 2 with Hans and Taygan, both of whom have played the first game. 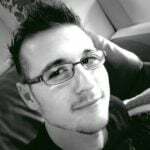 What I liked about teaming up with them initially, was that they had wildly differing opinions on the first game. This allowed me to grasp Destiny 2 from an entirely different perspective. It opened my eyes to what the game is like for a veteran player of the franchise, versus someone like me who is a newbie. For starters, I was told that the first game was notoriously bad in terms of awards for the grind. While I am an old-school Japanese Replaying Game (JRPG) nerd, I have grown accustomed to games that try to reduce late game grind. As such, I am the kind of guy who loves to sit around and fight the same kind of enemy all day to level up; so long as it is worthwhile. With that said, I heard that the first game was not worthwhile at all. Too much grind, not enough rewards. On the other hand, I was told that the grind is what made Destiny a lot of fun. As such, going into Destiny 2, I wondered what it would be like for me? To answer that question, let me give it to you straight: there is grind, and the grind is real. However, even with all that grind, I never felt like I was cheated out of my playtime, or that I wasted two hours grinding for a new, slightly stronger handcannon. Now with all that out of the way, I can say that I absolutely loved the grind in Destiny 2. Well, that is until I finished the story. Thereafter, I was told that I still had to grind my character up at least 100 more light levels before I could do anything else worthwhile. Light Levels are easy enough to come by, up to a point. From the moment I started the game, up until where I unlocked my third and final subclass, everything went nice and smoothly. It is only when I finished the game at around Light level 220, that the grind became a tiny bit harder to handle. Turns out I would need to grind up a heck of a lot more before I could even fathom trying out strikes (light level 240), never mind a raid (light level 280). Given how fairly easy it was to get to light level 220, it was really strange that obtaining a higher level past this point happened in small increments, resulting in it feeling tedious at times. This does not make grinding difficult, or so bad that I began to dislike it. Rather, it proved to be tedious yet still rewarding, especially since meaningful drops from enemies end up only offering miniscule differences in power past light level 220. As I said above, as long as the drops are consistent, and I do not need to grind for hours on end to raise my level by ten, I feel it is rewarding. I mentioned above how easy it is to be rewarded in this game, and that is really the truth. Enemies and tasks reward players with Engrams. The colour of the Engram denotes its rarity: white is common, green is uncommon, blue is rare, purple is legendary and yellow is exotic. Sure, the game has quite the grind to it, but it never fails to reward a player accordingly. Hans, for example, managed to get five exotic pieces before finishing the campaign. According to both him and Taygan, obtaining exotics in the first game was nigh impossible. Yet here in Destiny 2, by comparison, they seem to drop with wild abandon (I should also note that the campaign gives players at least three exotics as they play). Apparently the gear system in Destiny 2 works pretty much just like it did in the first. After collecting a new piece of armour or weapon, it can easily be equipped in the character menu. 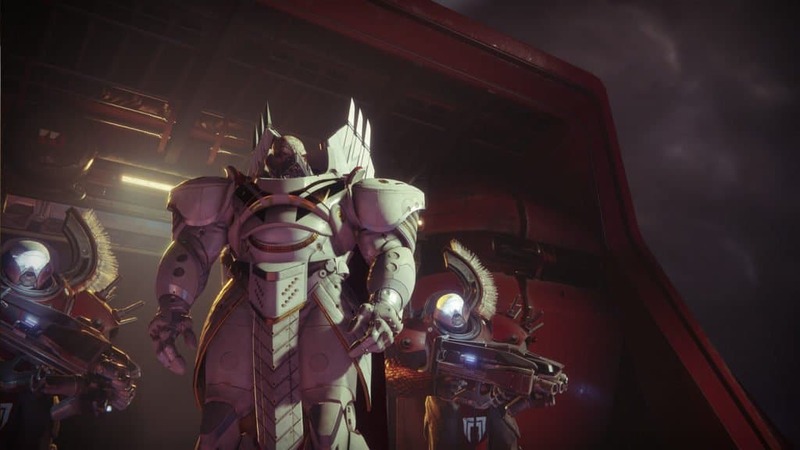 Unlike the first game, Destiny 2 also adds a slew of new mechanics to the armour and weapons that allows for fine tuning and min-maxing. Whereas in the first game, armour affected the overall Light Level and defence score, armour in Destiny 2 is a tiny bit more nuanced. All gear, including weapons and all armour pieces, now contribute to up to three stats: defence, agility, and recovery. By going into the detail menu, you can equip gear mods or select from a number of choices that will change up the way your gear works. The changes you can make depends on the mods you have installed, and the rarity of the weapon. This is a nice and fun way to make sure that people constantly check out their gear. Since each piece of gear is different, it also allows for a mild level of customisation. Just enough that your Guardian will look different to another player. In some ways, the perk and class system is similarly managed. However, it offers far less customisation. The reason I say this is because I feel like every class has one big, overpowered subclass, and then two others. I doubt that was the intended use of the subclass system, but it is there, and cannot be ignored. Hans, for instance, plays a Warlock. Every time he used his Stormcaller subclass, he would devastate enemy mobs left and right. Similarly, I felt like my Hunter’s Gunslinger subclass made me feel like I could solo a number of the elite enemies we fought. With that said, however, I quite like how the subclass system works. In the game, you start out with only one subclass already unlocked. For the Hunter, this was the Arcstrider. All subclasses govern pretty much the entire class you are playing. For instance, the Arc Strider let me turn into a melee powerhouse. Essentially, this Super Ability governs what the rest of the class is all about. Aside from the Super Ability, each class has their own perks. In my case, I could choose between a Gambler’s Dodge, or a Marksman’s dodge. I do not believe these changed depending on subclass. What does change, however, are the grenades you lob, and the type of jumping that you do. For the Arcstrider, for instance, I got the choice between a grenade that stuck to surfaces, a trip-mine, and a little grenade that split into even more little ones that zoned in on a target. It also changed my melee ability from the Gunslinger’s awesome knife melee, to a big electric punch that had the potential to restore my health. In terms of the kind of jumping I got, I always had to choose whether I wanted big jumps in the form of a double jump, a triple jump that is quick and very effective, or a directional jump that is basically a double jump with precise aiming. Just like the first game before it, Destiny 2 lets you go into orbit and choose a world on which to play. Throughout the campaign, you unlock planets (all within our solar system) to play on. All of these worlds are filled to the brim with stuff to do. From collecting loot, to finding and mining resources, through to killing “bad guys”. Each planet took my breath away with gorgeous and utterly unique scenery. There is no doubt that Destiny 2 is a very pretty game. In fact, that is an overarching thought throughout the entirety of the game: it is beautiful, and that is not exclusive to just the planets. From the weapons and armour, through to the vehicles and character classes; Bungie have done an absolutely stellar job at making everything look superb. While I think Destiny 2 can learn a bit from games such as Guild Wars 2, which gives you a slew of new story missions to do as you pass ten levels, I also think that the fact that myself, Hans and Taygan managed to make our way to level 20, long before we finished the story, is not entirely a bad thing. In fact, when I finally maxed out my Hunter’s level, I went into the next story mission loving the fact that all I had left to do was unlock my second, and third subclasses. That leads me to the races and classes. At the very start, I was given an option to choose from one of three playable races. The choices were to play as either a human, an exo, or an awoken guardian. 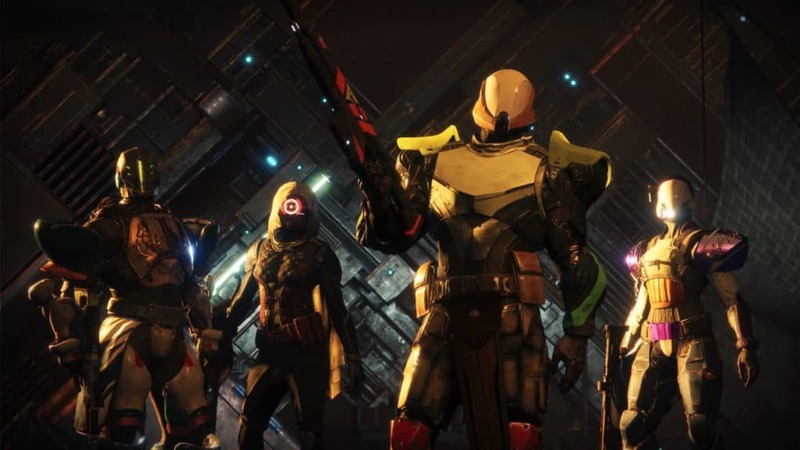 Similar to the three main characters in the story (besides the player character), there are three classes to choose from: Hunter, Warlock, and Titan. Now, you see, going in I immediately thought that just about everything about this literally screamed Destiny 1. That sentiment largely persisted throughout my time with the game… but I cannot fault that. I loved every moment of me being a Hunter. For those who are curious, Hans is a Warlock and Taygan is a Titan, and we play quite well together. With that said, I do think that the game blew a perfect opportunity to introduce a fourth class. Look, I already know that the entire point of Destiny is that the Light gives Guardians their power. However, if you play the first hour of the story, you will know that the light effectively… reboots, so to speak. It then becomes the player’s job to get their light back, and get it working again for everyone else. I also know that without the light, you do not have any power. Light, in the Destiny 2 universe, is what gives everything its abilities. Without it, Warlocks have no hold over their fancy Area of Effect attacks, and Hunters cannot empower their staff with lightning. Titans cannot conjure up huge defensive walls without it, and there are no means of fast, magical travel without it. I know this. I know it well, but bear with me for a bit. 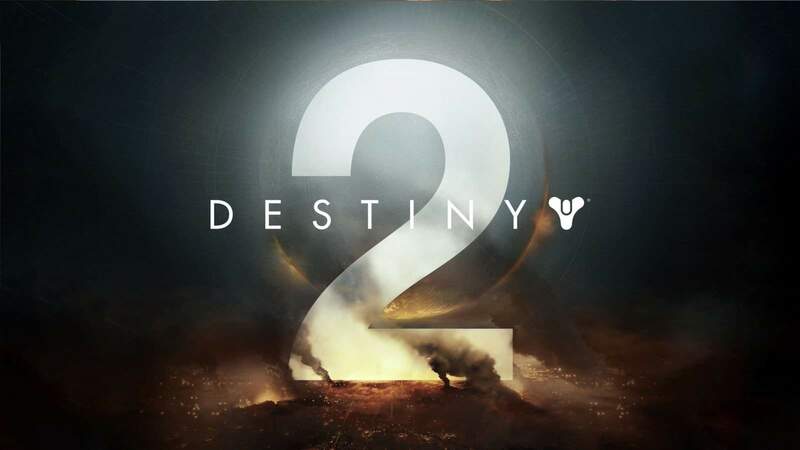 Imagine what kind of game Destiny 2 would be, if the entire story been about getting the light back. I may go into spoiler territory here, but since it all happens in the first two hours of the game, I will let this fly: at the start, you lose your light. Everyone does. The Resistance rescues you; you go to the new hub called The Farm; you do a thing, and your light comes back. Imagine if Bungie upped the squads to four players (like in dedicated multiplayer) and added the Resistance with Hawthorne as the leading hero for the class. Imagine if your powers were all dependant on your eagle, and your fancy exotic armour changed up the way your cloak looked. Hell, I would have been happy if the Resistance was a Hunter, with Warlock abilities and Titan health. See what I mean? What if Bungie decided to go on with this no light thing? That way, there could have been a fourth class, namely this Resistance. 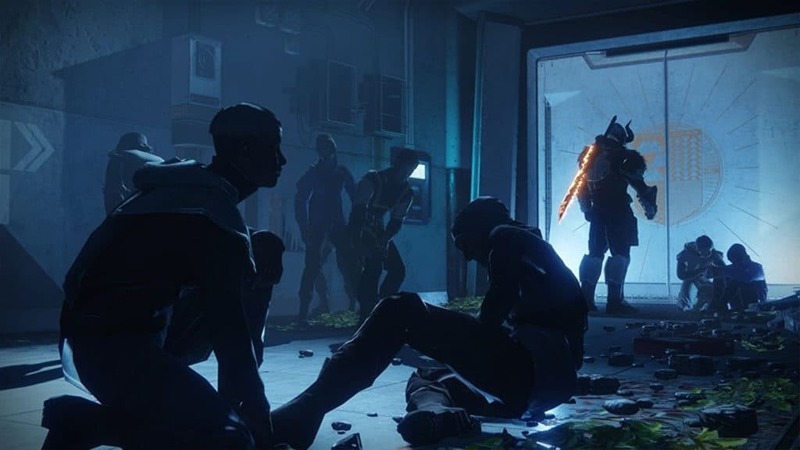 That way you, as a member of the Resistance, could have become Chosen and received the light from the Traveller whenever the story missions take you to that part in the game. I use the term “Chosen” freely since that is also a strong aspect of the narrative; and one that the bad guy does not understand. The story in Destiny 2 is serviceable at best. It is decent and not without its flaws, but it does a good job of propelling the player forward; and introducing the player to the various locales throughout the game. What follows is a very brief and spoiler free overview of the game’s story. The campaign extends to, perhaps, eight hours in length, and that is being kind. While I do not mind shorter stories, I do feel like eight hours is very short for a game that thrives upon multiplayer gameplay. Especially one that is not the stock-standard Player versus Player (PvP) fare; even though Bungie has added that in there for good measure. With that said, I must commend the game on its excellent narrative. While the story is merely serviceable, it does an amazing job at getting the point across without feeling too nuanced. This is a nice thing to see, given the current trend of either giving too much or too little story in modern games. Another huge surprise was the addition of humour. While I knew this would be in the game, I did not think it would be good. I was wrong, and I could not be happier. The supporting cast is an excellent addition to the game, and I would not want it any other way. Suraya Hawthorne and Devrim Kay are an intriguing duo that you are introduced to right at the start. They are placed there to give the player character an example of what life is like without the light, and what it means to live outside the boundaries of the last Earth city. Similarly, Dominous Ghaul, the new villain of the story, is a very imposing character. His entire being makes one uncomfortable and almost fearful. The story begins where Ghaul effectively wipes away everything Destiny 1 built up to by capturing the Traveler, and disabling the Light. All in one fell swoop at the very start of the game. All of what I said above is made even better when you take into consideration the incredible sound design. From the unforgettable soundtrack I acknowledged earlier, to the sounds of weapons and powers, through to the delivery in tone by the voice actors; I loved every moment. At the start, you fall to the earth, and all hope seems lost. The musical track that plays during this walk through the ruins of what used to be a live, beautiful city, and the trek through the mountainous region to get to safety, is all beautifully crafted to convey this sense of lost hope. Similarly, the acting and the delivery of lines feel like they fit in the world, and even out of context, would sound fantastic. Perhaps my only minor gripe about everything is how the player character is a silent protagonist. Rather, my ghost kept talking for me, but even then I had no problems coming to grips with that. Story done. Still worth playing Destiny 2?! Endgame in any multiplayer-focused game is pretty important. As such, the endgame for Destiny 2 come in many forms. After you have followed through and after you beat the Red War campaign, you get transported back to the hub area where you will be met with various new quests and strikes. First things first, you need to know what your power level is. Less than 260? Then you are going to have to grind and grind until you get there. Then, after you have reached this power level, you are going to want to procure legendary and exotic gear. When that is said and done, however, you are probably wondering what you will do with your awesome new gear. Well, for one, you can try and do patrols. Basically free roaming, by patrolling a zone, you complete public events around a certain zone in order to earn bright and legendary engrams. Finding good loot is enhanced by the treasure maps that you can purchase from Cayde. His maps reveal many maps around a given location, some of which contain rare loot. Adventures, on the other hand, are side missions that reward the player with a variety of rewards. Adventures are a type of patrolling activity, except they are self contained. They also expand on the lore of the franchise, which is pretty neat. Every planet or level has its own list of adventures. Strikes, on the other hand, are tough missions that require at least three players. Strikes are usually based on campaign missions, but feature enhanced bosses and enemies. With that said, however, nothing beats the Nightfall strike. Essentially, a Nightfall strike is just a normal strike mission that features even harder enemies to fight. Every week, a new strike becomes the Nightfall strike to keep things fresh for all players. It also features its own modifiers to makes things even harder. Like any good FPS, you would expect a decent player versus player (PvP) mode. Well, Bungie delivered that. Destiny 2 calls it the Crucible, and it offers a 4v4 environment with a few different game modes. When compared to the time I invested in the story and making my way through Strikes, I will admit that I only spent a few hours within the Crucible. As such, the following reflects my thoughts on Destiny 2’s PvP modes. Countdown – feels a lot like a faster version of Bomb, from Rainbow Six: Siege. Essentially, each player has objectives to either attack or defend a position. Control – here players must fight for control over three zones on each map. The longer a team controls a zone, the more points stack up. As the timers reach zero, the team that controls the most points will win. Survival – another new mode added to the game, plays similar to what you can expect from Gears of War’s famous Horde mode. Players get limited ammo, lives, and revives. Clash – the stock-standard 4v4 fare. The team with the most kills at the end wins. Supremacy – just like Clash, except players have to control crests. These drop when a player is killed, kind of like Call of Duty’s Kill Confirmed mode. While the majority of my time was spent in the normal Clash mode and a tiny bit of the Control mode, I must say that I feel like Bungie only added the Crucible because the first game had it. While intense, I do not feel like PvP did anything to enhance the game in any way. With that said, I do like that they thought about it long and hard enough to make it a viable PvP mode for people who actually care. By that, I mean that Bungie actually went out of their way to properly balance all PvP modes regardless of the subclass you choose to play. The reason this works is because they removed the min-maxing mechanic from the open-world gameplay, in favour of balanced, neutral stats across the board. With that said, the Crucible can be fun. Especially if you are able to put together a skilled group of team-mates. Yes yes, I know. Yet another full priced game with microtransactions tacked onto it. I feel you, I really do. Unfortunately it seems that capitalism will always reign supreme. The least we can do is to only support it when it makes sense. In this regard, I do not feel like Destiny 2’s microtransactions makes sense, at all. To break it all down, I must first explain what you get for your hard earned dough. That would be Silver, which is the premium currency in-game. It is acquired by exchanging $5 USD for 500 Silver. With 500 Silver, you can get a bundle of three Bright Engrams (Destiny 2 loot boxes). These Bright Engrams must then be opened after which a random number generation (RNG) will spew out cosmetic items, weapon ornaments (for exotic weapons), new armour, emotes, vehicles, and shaders. Yes… shaders. While I wholeheartedly agree that Destiny 2’s microtransactions are not pay to win, I must say that they are absurd nonetheless. For starters, there is no telling what Bright Engrams contain. It will always be a gamble as to what you are getting. If you end up getting duplicate items, you can choose to destroy it for Bright Dust, another currency used to buy Engrams… except you get very little Bright Dust for dismantling these cosmetic additions. I should add that Bright Engrams are earned, for free, for ‘levelling up’ past the level 20 cap. Secondly, and what is possibly the biggest issue, is the fact that shaders are now single-use items. That is correct. You can only use them once, on one single piece of kit. It means that making your character look great, by colour co-ordinating gear, is nigh impossible. To make matters worse, Bright Dust and Silver are the only surefire ways of getting shaders. Loot boxes and dropped Engrams sometimes drop them, but they are few and far between. In terms of performance, Destiny 2 had a few ups and downs. While I cannot attest to how smooth it performed, I do believe that I had zero frame drops with most of my time in the game. Where I did get some hitching, was when I jumped down into a huge pit at the end of one of the strikes we did. I also experienced some frame slowdown whenever I joined a huge event that took place on a map that features huge vehicles or mining lasers at its centre. In terms of loading, Destiny 2 tended to take a few minutes or so initially. When loading into a map for the first time, I could be assured that I would not load in before my kettle stopped boiling. All of this, of course, assumes my connection was strong enough to support me. Something that I noticed a lot during the first few days with the game, is how unpredictable the Destiny 2 servers could be. Players were left hanging in loading screens or simply kicked out of the game completely for attempting to load into the Farm. Look, I can live with not playing, just do not let me into the game and then throw random connection messages at me before kicking me out to the title screen. That is just annoying and is what I found to be most infuriating during my time with the game. Even now, three weeks after the game has launched, there are times when I will see the “Contacting Destiny 2 Servers” message. There are times when the issue will seemingly resolve itself, but then there are times when my entire Fireteam would need to retire for the night. As a first-timer, I felt that Destiny 2 made it very easy to jump into the game and understand what it is all about. The game throws a lot at you at once, but gates some of that behind Light Levels. Thus prompting you to have to go out and grind a bit before you carry on. This means that you can learn how to play while in the open world before going into an instanced story. Fireteams are easy to join, and Hans, Taygan and I generally had no problems connecting, save for that first week or two. While I hear complaints on forums that the gear system is too nuanced, and that the menus were clunky, I felt like I learned to navigate it all very quickly. The gear system is easy to understand now that everything has a simple power level and min/max stats. It is also easy to into the details pane and switch out gear mods. While Destiny 2 pushes microtransactions a bit more than I would like, I felt no need to ever spend extra money on the game. Shaders make a return from Destiny 1. This time, however, they can only be applied once to a single piece of gear. I did not mind this too much, as it gives another incentive to grind, but it also incentivises players to buy them with real money… something I would never do. With that said, I must say that I loved my time with the game. The story was short and sweet, and the narrative was decent. While I feel like the story was merely a way to introduce all the other aspects of the game, I feel like that is still a good reason to get the game at full price, even if you only play it for the story and nothing else. The Crucible makes a return, and while it feels nice enough to warrant its own section, I do not feel like it is Destiny 2’s strong suit. Where Destiny 2’s strength lies is in making players feel rewarded for the grind they put in, particularly in the open world. Honestly, that makes all the difference between a serviceable game with lots of grinds and a good game with a bit of grind.